Images of protests, shattered windows, burning trash cans and police firing gas canisters are filling cable news at the moment as President Donald Trump enjoys an inaugural lunch just hours after taking office. Baltimore’s WBAL-TV reports that in nearby Washington, 95 people have been arrested and three police officers have been injured. While the overwhelming majority are protesting peacefully, a small number of others — some masked and dressed in black — have been caught on video breaking a Starbucks store’s windows and setting small fires. Lines of riot-gear clad police are standing in lines to contain demonstrators, many of whom have held up their hands to signal they are only expressing themselves peacefully. Military reservists were seen on MSNBC cleaning up overturned trash cans and newspaper machines. 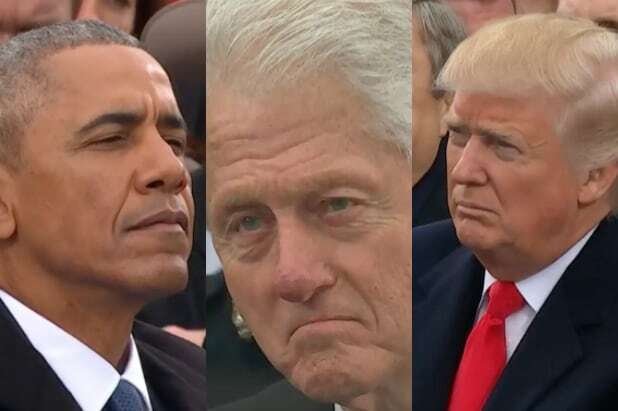 Democrats and Republicans joined together Friday morning to mark the peaceful transition of power from former President Barack Obama to Trump. But a few blocks from the festivities, the streets don’t look very peaceful. You can watch the protests and clashes for yourself in the livestream above. If you can’t see it, you can also click here to watch.